The C.P. 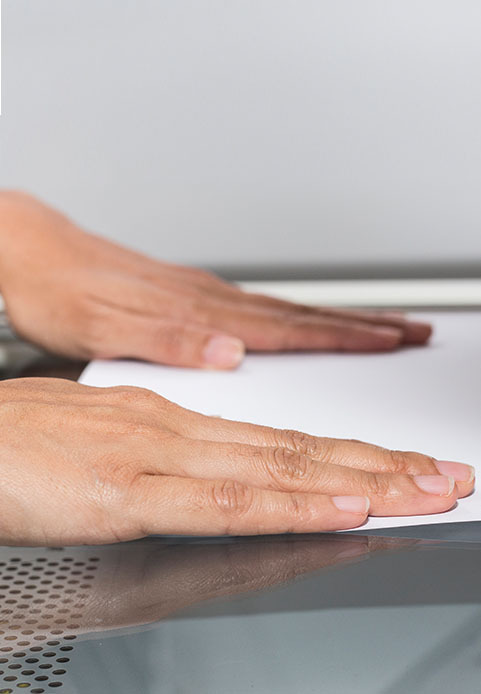 Bourg BDF-e Document Finisher is a compact and fully automated signature booklet maker controlled by a large user-friendly colour touchscreen interface in which stitching, folding, and trimming operations are completed in a single enclosed unit. Able to operate connected directly to any of various Xerox presses and with a variety of C.P. Bourg modules as part of a Xerox® IntegratedPLUS™ Finishing Solution, the BDF-e is the perfect choice for commercial shops or in-plants that need to produce booklets automatically in production runs from one to 10,000. Enhanced with more processing power, memory and software functionality to operate directly or with other Bourg modules in-line, dual-mode or off-line. The C.P. Bourg BDF-e Document Finisher address the challenges of having to do more with less by providing a versatile, economical and reliable solution for producing finished “documents of one” with high quality and efficiency.